The various religious denominations in Judaism have coexisted peacefully in the United States for over one hundred years. Each denomination has very different viewpoints on the Torah and on acceptable practices and customs in matters of religious life. The choices each make are distinct, and they do not seek to control or influence how the other denominations choose to interpret or handle their religious lives. As such, the tolerance that each exhibits for the other is just a consequence, not a goal. The groups are not fighting over the same remote control. They lead parallel lives. It is with this in mind that I note the various themes and calls for “tolerance” over the past months from Rabbi Rick Jacobs, president of the Union of Reform Judaism. Consider Rabbi Jacobs Chaunkah message. Jacobs opens his message with a note from Dr. Shaye Cohen who claimed that the battle of the Hasmoneans “marks the first time in recorded history that a war was begun in defense of religious liberty and individual freedom of belief.” An interesting point from a Harvard professor with a PhD in Ancient History. However, the comment was quickly misinterpreted by Jacobs. In the following paragraph he wrote that “The Maccabees fought the first battle for religious tolerance in history. (emphasis added).” That is a complete distortion of Cohen’s comment and of history. The story of Chanukah related to the Syrian Greeks trying to Hellenize the Jews over 2100 years ago. The Greeks did not seek to introduce another alternative form of religious practice into the Holy Land. They sought to replace Judaism by defiling the Jews’ religious places. The fight was an ALL-OR-NONE proposition. 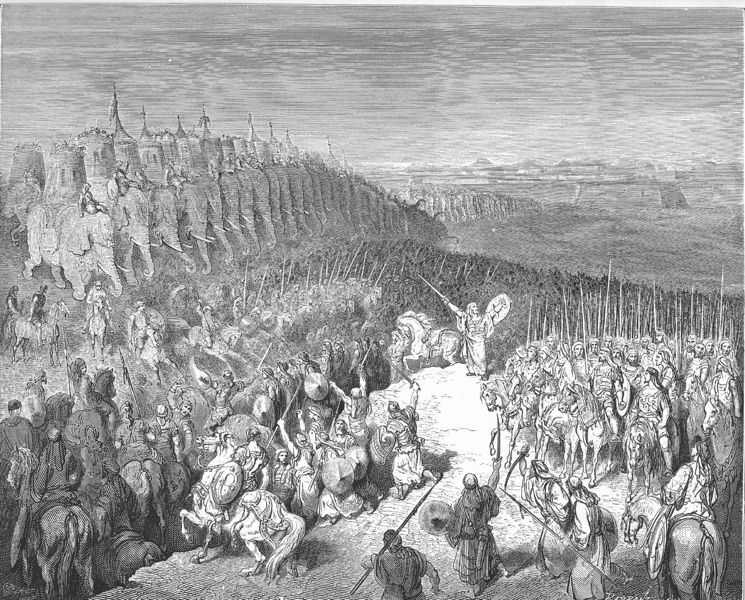 The reaction by the Hasmoneans was similar in nature. The fought back for “religious liberty” and to rid the land of pagan practices. They countered the defilement of the Temple with purifying the Temple. They responded to the introduction of pagan practices with its expulsion. The last thing that Chanukah celebrated was “religious tolerance.” It was a battle between all-or-nones. Rabbi Jacobs misunderstanding of tolerance stretches from his interpretation of history in the Holy Land from over 2000 years ago until today. In November 2015, Jacobs addressed his reform movement’s biennial in a keynote address. In this important speech about the direction of Reform Judaism he said (at 24:30) “Our Reform Movement, we have long opposed Israeli settlement policy in the West Bank (applause). The occupation threatens the very Zionism we hold dear.” He declared that his religious movement opposed Jews living in parts of the Holy Land. Seemingly not very tolerant. He continued: “- the living expression of a Jewish and democratic state. It causes pain and hardship to the Palestinians and alienates Israel from friends and allies around the world. Only two states for two peoples, both states viable and secure, living side-by-side in peace, will bring this tragic conflict to its long-awaited end (loud applause).” Jacobs argued for a tolerance achieved by separation. A divide into two distinct states. However, he really meant a specific state of Arabs which should have no Jews, and a second state of Israel with both Jews and Arabs (the “progressive” two state solution is 1.5 states for Arabs and 0.5 states for Jews). It was a curious twist on tolerance, for a “progressive” to condemn a Jewish “settler” that sought to live in peace alongside Arabs. Rabbi Jacobs comments in November 2015 seemed to come into conflict with his actions a few months later. In July 2016, Rabbi Jacobs marched into the occupied territories and demanded rights for Reform Jews. 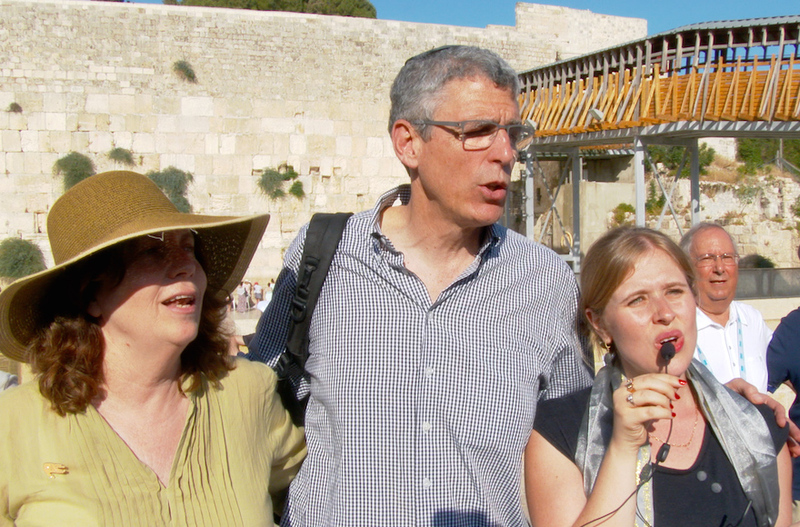 Rabbi Jacobs came to the Old City of Jerusalem to pray and advocate for new privileges for non-Orthodox Jews. He did not seem to care or notice that much of the world considers the Old City of Jerusalem to be occupied Palestinian territory. That same territory which he thinks should be under Palestinian Authority, a political agency which advocates against Jews living anywhere in the area and seeks to stop the “Judaization” of Jerusalem. His mind-bending views on “tolerance” continued as he led and advocated for egalitarian prayer at the Kotel. 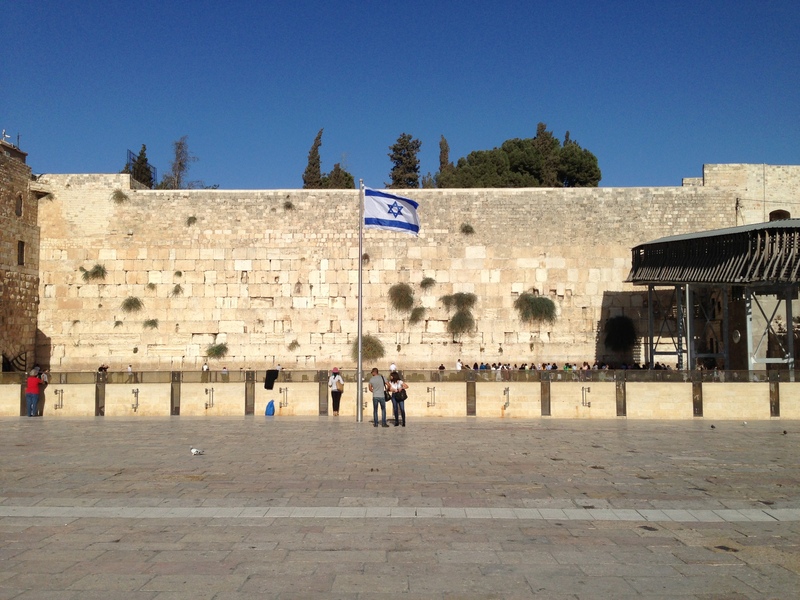 The Kotel is the Western Wall of the Jewish Temple Mount. It has was the area set aside by Suleiman I 450 years ago for Jews to pray, after he kicked them off of the Temple Mount itself. Since 1967, the area has functioned as an Orthodox synagogue, and only Orthodox prayer practices are allowed there. Jacobs seeks to change that and demands the legality of non-Orthodox practices at the Western Wall. He is not satisfied with non-Orthodox prayers happening at the Southern Wall (which is actually bigger and prettier), away from the Orthodox services. We wants the Orthodox to tolerate his practices at the Kotel. This is quite a different approach than Jacobs applies in other situations. Jacobs normally advocates for peace via separation; tolerance via parallel paths. Yet when it comes to the Kotel, (in an area he thinks shouldn’t even be part of Israel), he has demanded to impose his practices in the space of others. Remarkably, Modern Israel has taken a different approach. While the Arabs of the Middle East sought to stop Jewish immigration – even at the dawn of the Holocaust – Israel opted to grant 160,000 non-Jews Israeli citizenship when it declared a state in 1948. Even though the Arabs expelled all of the Jews from the Old City of Jerusalem in 1949, after Israel reunited Jerusalem in 1967, it handed religious control of the Jewish Temple Mount to the Islamic Waqf. Even though the Arabs continue to advocate for a Jew-free state, Israel has allowed all Arabs in Jerusalem to apply for Israeli citizenship since it annexed the eastern part of the city. Rabbi Jacobs chose to distort the meaning of Chanukah and turned it into a call for advocacy on behalf Muslims in Burma in a global fight for religious tolerance. It is a nice message, but one not found in Chanukah, and disconnected from his attitudes towards Orthodox Jews in Jerusalem. Let’s celebrate the holiday of Chanukah and the miracle of Modern Israel. It is a story that liberals can enjoy without distorting history and the English language. This entry was posted in Israel, Judaism and tagged Chanukah, liberals, progressives, Reform Judaism, Rick Jacobs by First.One.Through. Bookmark the permalink. I have found your posts insightful and always written with an understanding of the facts. This one is clearly different. Putting aside your analysis of the Hasmonium times, the current issue could not be further from the truth. While Rabbi Jacobs represents the US Reform Movement, the unfortunate situation at the Kotel is something that is anathema to all Reform, Conservative and Modern Orthodox Jews, in America but also to many Israelis like myself, who believe and have supported the tolerance exemplified by Natan Sharansky’s huge effort to bring a compromise to the situation at the Kotel. The Kotel is NOT an orthodox synagogue. In fact, it is NOT a synagogue at all. According to my father-in-law, who is the 7th generation from Jerusalem, the practice currently administered there by the ultra-orthodox rabbis is an aberration that has only been in existence for 40-50 years. This is not a situation of Reform Jews having no tolerance. In fact, Groups like Nashot HaKotel represent Jews who are actually primarily Modern Orthodox and Conservative. While their religious practices and traditions (that in no way break from halacha or Jewish Law) are different from the Ultra-Orthodox who (unlawfully) control the Kotel, their right to practice according to their traditions is no less important than the rights of the Orthodox. It is the Orthodox who have shown zero tolerance, not the other denominations who, by the way, represent an overwhelming majority of Jews worldwide. The plan negotiated by Sharansky and agreed-to by everyone has been abrogated by a select few who do not want to share the total control that they currently have. The Kotel is not and never was intended to be a synagogue. It is a holy space that belongs to all Jews – in and outside of Israel. You need to rethink your position and those who seek to continue to control the religious traditions of Israeli and diaspora Jews need to understand that for shalom bayit and tolerance to take place, it is incumbent upon everyone to demonstrate compromise, so that all religious and civil rights are respected and protected. First, thanks for reading (and hopefully sharing) the posts. If you’ve read my many posts, you understand that I am FOR tolerance. The situation here – as you’ve said – is that the Kotel plaza has acted as an Orthodox synagogue for almost 50 years. It is not simply a public space, like in front of the Knesset. 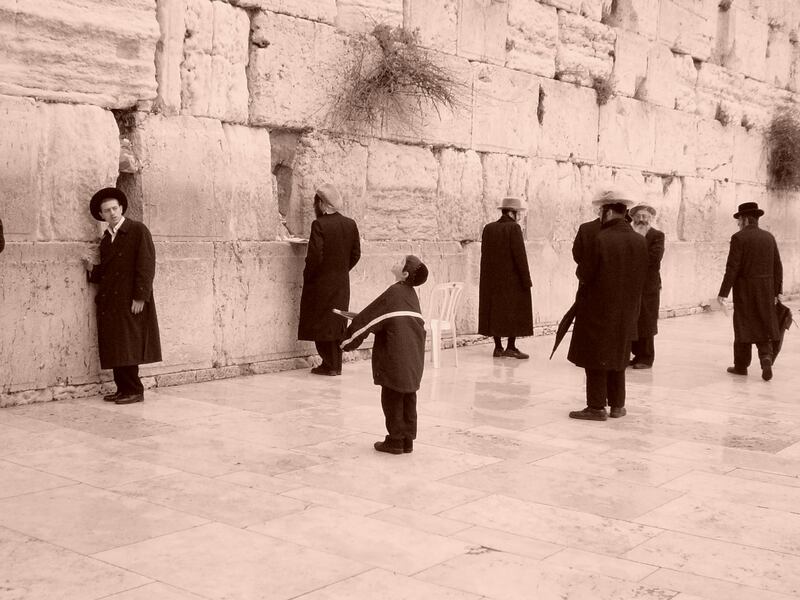 The Kotel has a rabbi and established norms of how to behave. The non-Orthodox have sought to pray in a different manner at that very same location. 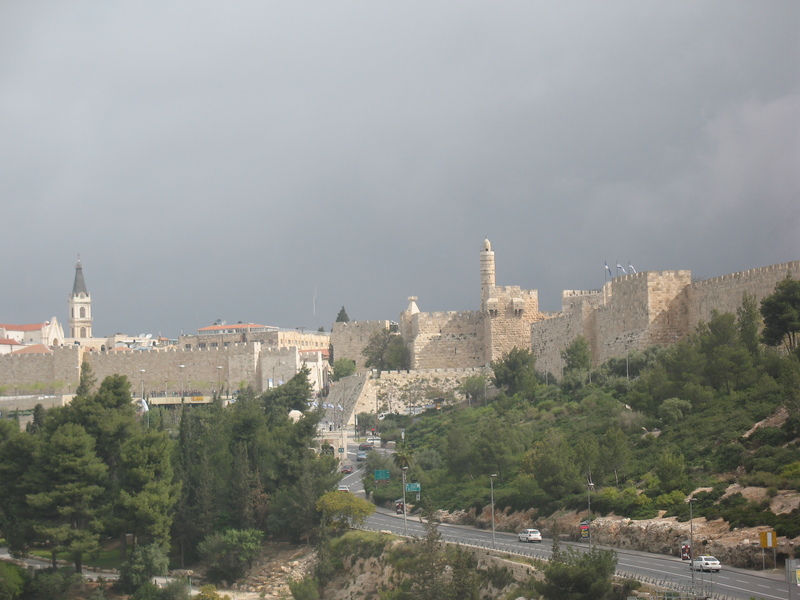 They disapproved of the concept of using the Southern Wall (which is also just another retaining wall with similar holiness) as they contended that there is “just one Kotel.” The compromise brought by Sharansky was to use Robinson’s Arch – along the western retaining wall. The issue has been one of relatively small size, access and disturbing the archeaological ruins located there. A decent compromise, but a space that is compromised.